Our primary aim is a quality and successful renal transplantation. 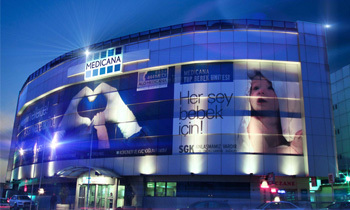 All the three Medicana centers located in Istanbul work at same quality based on the concept of trust.Our team is formed by many physicians, including 3 nephrologists, 6 general surgeons and 7 coordinator specialists.Patients are assessed, prepared and followed up by the same team in line with similar quality standards. Our team has the maximum experience of renal transplant preparation and follow-up worldwide (more than 4500).Our team had broken many grounds in our country, such as the first renal transplant from tissue incompatible donor, the first kidney-pancreas program, renal transplant from ABO-incompatible donor, kidney transplant from a donor with hepatitis B carrier status, kidney transplant for patients with positive cross test and international cross kidney transplant. We had also donated some novelties to the community of medicine, such as CD3 monitoring in the use of ATG and use of ACE inh + AARB in proteinuric patients. Preparations are completed by expert teams within 3 days.Laparoscopy technique is used for operations, and thus, donors can be discharged within 1 to 2 days, while recipients are discharged in 3 to 4 days. It is still the largest international cross system of our country and cross-PRA positive patients catch a chance of transplantation in our center. 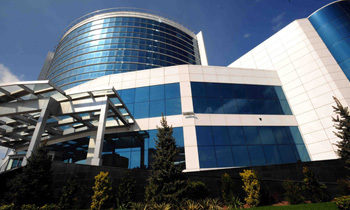 Mission of Istanbul Medicine Organ Transplantation team is to provide patients, who are dialysis naïve or are actively receiving dialysis therapy due to renal failure, with a chance of organ transplant in a quality manner. Our center adopts laparoscopic surgery routinely for all living donor kidney transplants, and smaller incisions enable faster recovery of our patients.Donors can be discharged within 1 to 2 days, while recipients are discharged in 3 to 4 days. 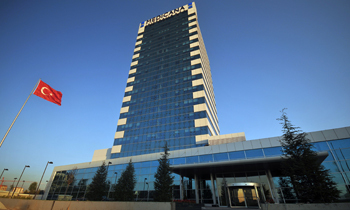 Patients stay in single rooms throughout their stay at our hospitals and a comfortable healing experience is prioritized. Our team owns the largest kidney transplant outpatient clinic program of the country and many local and international transplant patients or donors are followed up by our teams per day. Our team had broken many grounds in our country, such as the first renal transplant from tissue incompatible donor, the first kidney-pancreas program, renal transplant from ABO-incompatible donor, kidney transplant from a donor with hepatitis B carrier status, kidney transplant for patients with positive cross test and international cross kidney transplant, in order to increase number of kidney transplant surgeries and to save life of more patients over time. For our patients with ABO-incompatible donor, the joint cross transplant system is available in our largest 3 centers of the country. 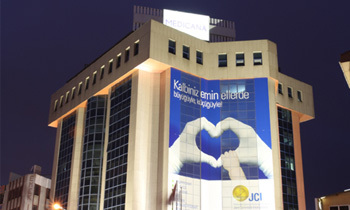 We continue our efforts to save life of human and to offer quality service.Medicana is a reference center for all patients, who are waiting for a donor organ or who are already undergone organ transplant surgery.It is the flagship of Turkish transplant surgery at the international areas as a location of trust and a reference center, where patients are shown promise, respect to human life and quality service are always prioritized and all patients can present to, as the three centers located in Istanbul works in a coordinated manner based on same understanding of quality.